So what may have appeared obvious to others for a long time has become clearer to me recently. In essence much of my struggle has been between various groups who claim Christianity contains external truths that must be believed and defended. Over on the other side of the road we have various groups who consider Christianity to be a more existential, esoteric or spiritual reality that cannot be tied down to concrete dogmas, doctrines, rituals and practices. While I’ve been going round in circles trying to figure out which brand of Christianity is historically accurate, they’ve been trying to tell me that none of them are. And you know what…I just might agree with them. Recently I’ve been enjoying a revived interest in reading (and listening to podcasts of) the Bible. It has brought with it a deep sense of recommitment to understanding the messages contained in the biblical text without preconceived ideas about what I’m going to find. It has also introduced some deep wrestling with the difficult realities involved in trying to access a ca.3500 (Old Testament) and ca.2000 (New Testament) year old set of documents written in languages that are no longer immediately accessible. 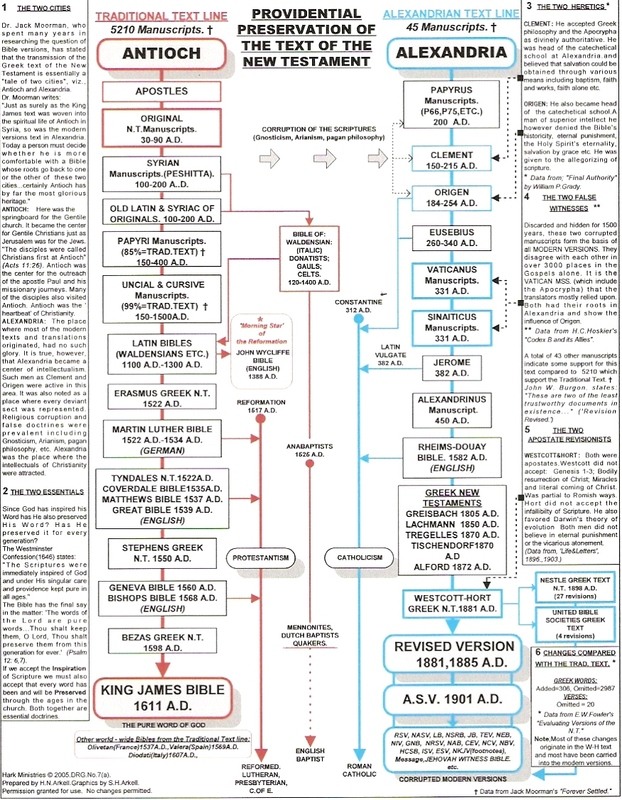 My last post relating to the complexities of historical research applies equally well to the Bible. For me, the whole process has highlighted the related fields of translation and interpretation. Christianity has always relied on both. Right from the outset the early Christians had to choose between a Koine Greek (LXX –Septuagint) and a Classical Hebrew text of the Old Testament – they chose the Greek. Then they had to interpret the Old Testament in light of the events they had witnessed in the life and death of Jesus. This interpretation became the message of the Early Church. Soon these early Apostles and disciples were writing their own texts (in Koine Greek) and circulating them around the churches. As the Church grew they started translating these texts into other languages. Soon there were a number of documents in circulation and while there was general consensus regarding the authenticity of most of the texts, there were a few that caused some disagreement. During the 4th century a number of synods were held to discuss and vote on the agreed texts to be considered scripture. Koine Greek was developing into Medieval/Byzantine Greek and Latin was the preferred language of the Western Empire. As such Latin became the Ecclesial language of the Western Church, centered in Rome. Latin translations became the norm in the Roman Church while Byzantine Greek continued to develop and be used in the East. As time went on the original autographs were lost and all that remained were the copies. Two thousand years later the bible is the most widely translated book in existence and few people ever stop to consider its’ history and structure. Most Christians simply accept that regardless of which version of the Bible they are reading, it contains an accurate translation of the lost originals. A few months after my 19th birthday I had a traumatic and desperate realization of my need for repentance and grace. I accepted the message of salvation through Jesus and became a Christian. My first encounter with Christian community was a KJV-only house church. These Christians believed in the sole inspiration of the King James Version of the Bible. They told me that all other versions of the Bible were corrupt and purposefully diluted the Word of God. They showed me scripture after scripture that was changed or simply deleted in the newer versions of the Bible. At the time I had no understanding of the history of the Bible, how it was translated, or any other related issues – so I simply believed what they told me. I was seriously conflicted when I later attended churches that used the NIV or other translations of the Bible. In my naivety I believed that all Bibles were translated from the same manuscripts and that the translations that departed from the text of the King James were using faulty and corrupted texts. I assumed this was done knowingly and purposefully to deceive people. I thought for example that the Watchtower’s (New World) translation used a corrupted Greek original and therefore translated John 1:1 “In the beginning was the Word and the Word was with God and the word was a god”, incorrectly. If they returned to the manuscripts of the KJV, I believed, they would realize their mistake and translate the text correctly. I assumed that it was a simple matter to go back to the originals and gain an accurate translation of the very words of Jesus and the early apostles. I never realized that these originals no longer exist and that there are thousands of variants in the manuscripts we now have. During my studies at the Baptist Theological College I became more trusting of other translations by learning about formal and dynamic equivalence. I was told that some Bibles, like the KJV, tried to give a literal (word-for-word) translation. Other Bibles, like the NIV or TLB, gave a dynamic equivalent (thought-for-though) translation. It was up to the reader to consult the kind of translation they required and to check different translations to confirm accuracy. I still hadn’t realized however the significance of not having the original manuscripts and the variations between different copies. Translating the Bible is much more complicated than either my initial confidence in the KJV or my later confidence in the overall consensus of different versions led me to believe. Regarding the Old Testament we still have the two options that our forefathers in the faith had – Greek or Hebrew. Unlike their situation however, Koine Greek and Classical Hebrew have been replaced by modern variants of those languages. Some words have fallen out of use, grammar and syntax rules have changed. This all creates a number of problems for translators trying to understand and reproduce the text into other languages. At the start of the 20th Century the oldest Hebrew text (the Masoretic text) dated to about the 10th Century AD, a thousand years removed from the time of Jesus. The Greek text on the other hand survived in fragments from the 1st and 2nd Century BC and in complete manuscripts dating from the 4th Century AD. 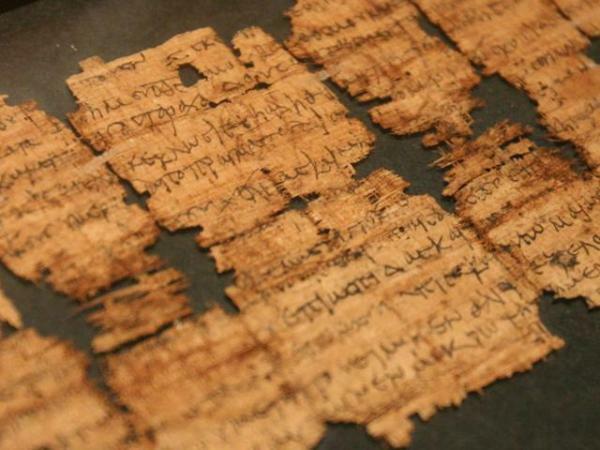 The Greek text contains various texts that Protestants now consider unbiblical, but which were part of the Hebrew collections before the time of Jesus and also found amongst the Dead Sea scrolls. Several of these “apocryphal” books are still included in the Bibles of the Catholic and Orthodox Churches and considered authoritative. When the Greek and Hebrew texts are compared they differ in a number of places. Many scholars and translators preferred the Greek text because it was older. In addition many of the quotations in the New Testament appeared to come from the Septuagint rather than the Masoretic text. However, the 1947 discovery of the Dead Sea Scrolls pushed the dating of the earliest Hebrew manuscripts back 1000 years. Thus the Greek and Hebrew Old Testaments could face-off on equal footing. The Dead Sea scrolls restored credibility to the 10th Century Masoretic text by showing that they more often agreed with the later Hebrew texts over the earlier Greek ones. This doesn’t automatically give preference to the Hebrew text, but rather indicates that both the Greek and Hebrew text types already existed side by side during the 1st Century. One criticism of the Septuagint, that is yet to be more fully explored by scholars, is that it appears to bear evidence of tampering. It seems that after the early Church adopted the Greek text over the Hebrew they wished to defend their choice as supported by Jesus and the Apostles. They wished to make it appear that Jesus and the Apostles used the Septuagint rather than the Hebrew scrolls for their preaching and teaching. They did this by re-writing New Testament quotes of Old Testament passages back into the Old Testament texts of the Septuagint. Unfortunately this is not often admitted and scholars still use the faulty assumption that the re-written texts are part of the original. There are almost 6000 complete and partial fragments of the Greek New Testament manuscripts – more than any other ancient work in existence. In addition there are 10 000 Latin manuscripts and over 9000 manuscripts in various other ancient languages like Armenian, Coptic, Syriac and more. This fact at first excited me and gave me hope that at least the New Testament could be apprehended accurately and without controversy; but more doesn’t always mean better. These manuscripts and fragments are divided into 3 categories based on content, which means that at least 3 different variants of translation have been handed down over the centuries – with thousands of differences even within the groups themselves. Many of these disparities are clearly scribal errors, a missed word, duplicated line etc. But amongst these obvious mistakes there are at times opposing texts that contain no clues as to which is the more accurate copy. The three groups are known as the Alexandrian (or Minority) text-type, the Western text-type and the Byzantine (or Majority) text-type. The Western text-type shows clear manipulation and poor copying and is therefore considered the least preferable of the three options. There is great debate over whether the Alexandrian or Byzantine text-types should be given preference. During the Reformation the Byzantine text type was preferred and used for translations like the KJV. This text-type makes up about 80% of all Biblical manuscripts and dates from the 5th century to the 16th century. In more modern times however scholars have argued that the much smaller collection of Alexandrian texts should be given preference due to their shorter readings and more ancient dating (2nd – 4th century). Therefore almost all modern translations (NIV, NAB, TNIV, NASB, RSV, ESV, ASV etc.) use the Alexandrian text-type as their primary base and only consider other texts if there are clear problems with the older text. This position is contested by supporters of the Byzantine text who argue that amongst other issues, the small number of Alexandrian texts together with their failure to move beyond the 4th century attests to their low-status and disregard by Biblical copyists of the time. The very fact that the Byzantine text survived and continued to form the bulk of all manuscripts indicates that it was the preferred text both in the earlier centuries and beyond. Of course there is far more to this debate than I can write in a few paragraphs. Even so, I do think it is important for us to know that we usually read our Bibles with very little (if any) knowledge of these and other issues. Personally I don’t yet know what to make of the whole issue. I may end up putting in some more research on the subject but I’m not sure it will necessarily yield answers either way. The oldest manuscripts could just as easily be right as wrong and the majority text can just as easily represent the better copy as the frequently repeated mistakes of earlier errors. One thing I do know is that while many of the mistakes in the manuscripts are just that – mistakes – it is also clear that the Bible has not escaped the corrupting influence of power. Manuscripts have been tampered with, for various reasons and we would be naïve to assume that the Bible has escaped the forces of darkness. In the end this has all left me thinking it is probably unwise to simply read one version of the Bible and not compare it with others. The good news is that at least we can do this and seek God’s guidance when discrepancies are found. We need to trust that even though sin and evil have tried to damage the power and authority of the Bible, we have another helper that is far more reliable than any manuscript. The Holy Spirit will lead us into all truth – we must trust that this is true and that God wants us to know the truth. Many of you may already have been quite familiar with the inner-workings of biblical translation and already use multiple versions to check and cross-reference passages. But what may at the same time be extremely obvious and yet completely overlooked is the fact that not only are we reading an option of the original, but we’re also reading an interpretation of that option. Translating from one language to another is simply not as accurate as is sometimes assumed and translators are forced to make thousands of choices that determine how we read the text of the Bible. This becomes extremely clear when reflecting on passages like John 1:1 which I mentioned before. Recently I’ve been reading biblical interpretations by Unitarians (God is only One) and Binitarians (God is two in One) and realized that even when I cross reference different versions, I’m still reading Biblical translations that affirm Trinitarian (God is three in One) interpretations. Both the Watchtower and the Bible Society use the same Greek Manuscripts when interpreting John 1:1 and yet one group comes to a Trinitarian (or Binitarian) position while the other comes to a Unitarian position. If our Bibles are being interpreted by Trinitarians, are they truly unbiased translations of the original texts, or are they just as much an interpretation as the Watchtower version is? I’ll take up my thoughts on Biblical interpretation in my next post and consider it specifically in terms of what we believe about Jesus and God.